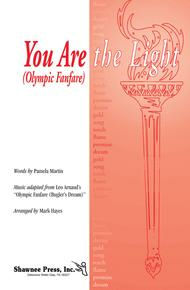 Composed by Pamela Martin. Arranged by Mark Hayes. Shawnee Press. Patriotic, Secular, Olympics, Concert, Inspirational. Octavo. 16 pages. Shawnee Press #A2065. Published by Shawnee Press (HL.35026345). 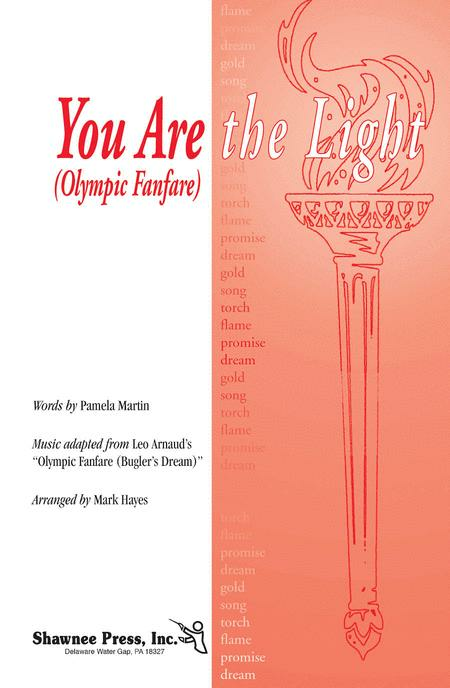 For use during an Olympic year or anytime during the academic year when inspiration is needed, Mark Hayes' and Pamela Martin's fresh voicings of this bugler's theme known around the world is stunning. It has original lyrics set to an outstanding choral arrangement of the familiar tune and is available in a variety of voicings that are sure to accomodate your ensemble. A full orchestration and a StudioTrax CD are available for your library! Available separately: SATB, SSAB, 2-part (opt. SSA), StudioTrax CD, Orchestration.